Mike Marron, left, Republican candidate for State House in the 104th District at Marron Family Farms in Vermilion County with former state Rep. Bill Black. Republican Mike Marron is running for State House in the 104th District, which includes portions of Champaign County and Vermilion County. Marron has been serving in that seat since September when he was appointed by Republican Party officials to complete Rep. Chad Hays’ term. Hays stepped down to take a job with Crosspoint Human Services in Danville. 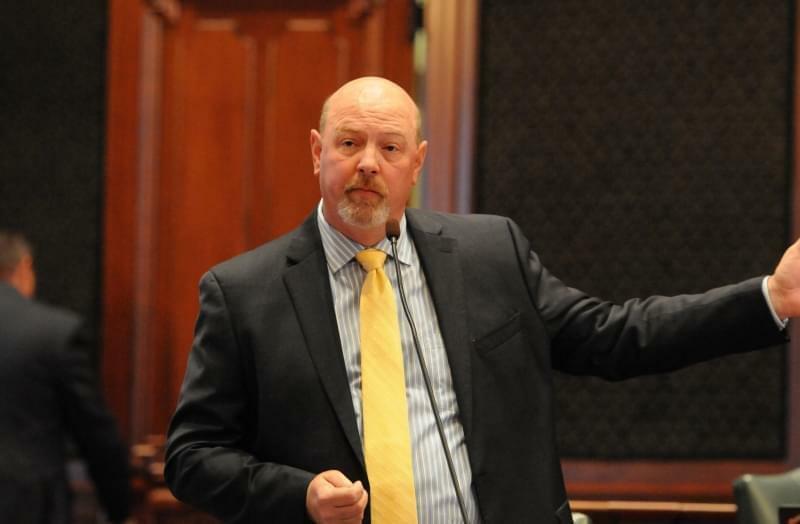 Speaking with Illinois Public Media, Marron discussed his views on how to prevent another yearslong budget impasse like the one the state saw in 2016. The former Vermilion County Board Chairman also discussed the issue of coal ash pollution in the Middle Fork of the Vermilion River, as well as the issue of bringing jobs back to his district, which he says has been struggling for decades after industry left the towns of Danville and Rantoul. Below is a transcript of the interview, which has been lightly edited for length and clarity. 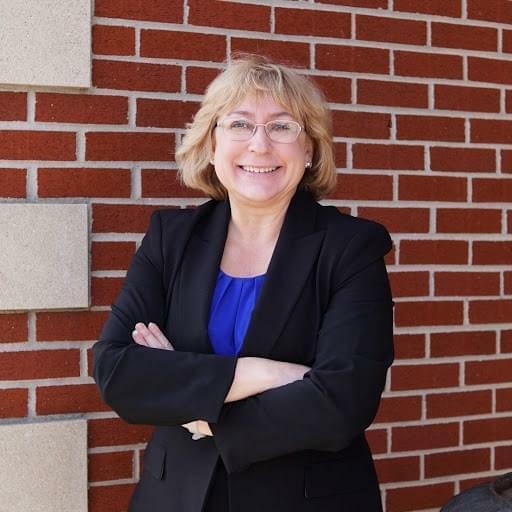 Marron faces Democrat Cynthia “Cindy” Cunningham, a resident of Royal, in the Nov. 6 midterm election. You can hear Cunningham’s recent interview with Illinois Public Media here. Illinois Public Media: What would you do to prevent another budget impasse like the one the state saw in 2016? Marron: I think the bare minimum when you're an elected official, you've got to make sure that the lights come on in the morning and the trains run on time. And we're able to function as a government. I think that's the thing you've got to get back to - at least some kind of political decorum where you're not completely derailing the process when you have disagreements. Illinois Public Media: The two men at the center of that budget fight were Republican Gov. Bruce Rauner and Democratic House Speaker Michael Madigan. Do you support Rauner's bid for re-election? Marron: I do support the governor just from the standpoint.. I think you know we're going to be in a redistricting year here soon and that needs to be a bipartisan process. And so I think the only way that that's going to happen is if we have the governorship. So I definitely think that's important. You know, I don't agree with everything that's gone on over the past four years. But I do think that's the best course of action. Illinois Public Media: Do you agree with Gov. Rauner's signing of House Bill 40 which allows public money to be used for abortions in the state. Marron: No I don't agree with that. I am a pro-life candidate and that is something I would have a disagreement with the governor on. Illinois Public Media: Going back to the budget, according to the Illinois budget book, for the current fiscal year the state has about $219 billion in public pension obligations but only $85 billion in assets. How would you close this pension gap? I equate it to the analogy of somebody in their household who has for months and months skipped their credit card payment and interest compounds and then it becomes a larger and larger part of your monthly budget and eats up more and more resources. And then the only way to actually reverse that is to get back in front of it is to make a larger payment and use compound interest to reverse that course. I think that's what we've got to do on the state level is we have to set aside more money in the budget to pay down that liability and actually use compound interest to reverse course. Illinois Public Media: What do you view as the most important issues to the 104th District? Marron: I think economic development and jobs are so very important to this district. We've had to redefine ourselves economically as well as in other parts of the district like Rantoul. You know, there's been a lot of changes over the last 20 to 30 years. And so I think economic development, bringing in new industries, new jobs and being competitive, since we're right here on the state line with Indiana. That's the number one priority for this district. Illinois Public Media: I want to go back to the redistricting that you mentioned. You had signed on to a bill when you were in the General Assembly that supported redistricting. Can you explain a little bit about that legislation and why you supported it? Marron: This is a nationwide problem. Both parties are guilty. When the Democrats are in control they draw the map to benefit them, and when Republicans are in control of other states the Republican Party does that. We need to come up with an independent formula to redistrict, whether that's you know, putting it all into a computer and spitting out a nonpartisan map. I think that's critical because that way the voters actually have say so in who represents them. Illinois Public Media: You mentioned also property taxes as one of the issues affecting your district. And do you support the graduated tax plan that Pritzker has proposed? Marron: I think one of the ways that we dig ourselves out of this mess is we become competitive and actually try to bring people back to the state. We've got to be a place where we're going to be attractive for people to move back to Illinois. And I fear that by creating another tax system, graduated income tax, that's just one more reason why people won't come here. And it would be self-defeating. Illinois Public Media: Even after the recent income tax increase to 4.9 percent, the budget for the current fiscal year looks to be about $1 billion out of balance. Do you support further revenue increases to bring that budget back into balance? Marron: The fact of the matter is, there was a revenue increase so I think the prudent thing to do before you go back to the taxpayer and ask for another increase is to set priorities and make sure that the money that is coming in, that we are spending it wisely responsibly, we're taking care of the things that need to be taken care first and foremost. And basically just like you would do at home, create a wants and needs list. You have to meet the needs first and then make sure those are taken care of. But no additional spending passed that point until we right the ship financially. Illinois Public Media: I know that your opponent has advocated for more dollars toward education coming from the state rather than property taxes. Is that something that you support? Marron: I think when you're making that wants and needs list, education is at the top of the list. And ultimately I think that's probably the best way towards property tax relief is to change the way that education is funded and make it a priority on a state level. Illinois Public Media: Another issue in your district that has received national attention is the coal ash pollution that has been seeping into the Middle Fork River from the closed power plant. Do you support the company, Dynegy's, plan to stabilize those coal ash pits? Or do you see another solution? The company, Dynegy, can't walk away and just leave this liability to the taxpayers of Vermilion County. Whether that's a liability that is potentially going to come to fruition next year, or 50 years or 100 years from now is really irrelevant. There has to be a permanent solution, which ultimately means that they probably need to go in and clean the coal ash up and take care of it forever. You cannot leave that kind of massive liability, both environmentally and economically, for the taxpayer of Vermilion County.